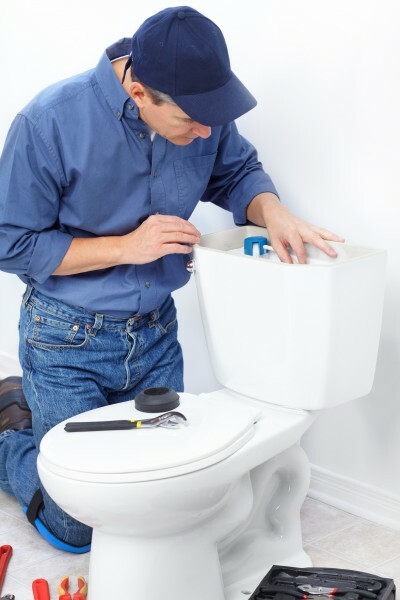 Don't Spend a Fortune on Home Toilet Repair and Plumbing Service in Glendale, CA– Get Fast and Affordable Clogged Toilet Repair and Replacement Service. Stopped up toilets and backups are a health hazard. If your home’s toilets are giving you problems, it’s time to fight back and call for professional toilet repair in Glendale, CA. When you call Glendale Expert Plumbing and Rooter, our licensed plumbers will help you decide if you have a blockage in the drainpipe, trap, or the sewer line. Figuring out exactly where the clog is is the first step in eradicating the problem. For drain cleaning, sewer line inspections, and new toilet installation, call us 24 hours a day! In most instances, the blockage is shallow. This means that whatever is preventing the flow of water is probably somewhere near the surface of the toilet, most likely in the trap. Things such as sanitary napkins, too much toilet paper, plastic applicators, and even toys can cause shallow blockages. These blockages are usually the easiest to get rid of and can sometimes even be taken care of by the homeowner using a plunger. Clogs that exist further in the drainage system present bigger problems. These blockages are not affected by a household plunger and if ignored can lead to backups in your sink and bathtub. Backups are especially common in bathrooms that are on the first level of homes because this is the lowest part of the drainage system. If you have a stubborn clog, professional drain cleaning services are often the best solution to get rid of the problem right away. In cases like this, when the blockage is in the drain pipe, a plumber will most likely use video camera inspection to see far into the drain line to accurately locate the clog. Another problem that is common in homes that have a lot of trees in the yard is an obstructed sewer line. Tree roots may grow around the line and squeeze the line. This can result in blocking the flow of water and causing the water in the line to back up into the toilets in the home. Because there are so many causes of a clogged toilet it is always best to call for professional plumbing service in Glendale, CA. Do you need to replace a broken toilet? We can help you choose a replacement commode that is Energy Star rated and uses less water than your old, outdated model. New toilets come with low-flow features that reduce utility costs without reducing their performance. If you’re considering replacing your toilet, pick up the phone and ask us about our toilet installation services. Professional installation has many benefits including 24-hour support, extended warranty protection, and peace of mind that your new toilet will not leak, crack, or clog because of inaccurate installation. Call today for a free quote for toilet repair and installation.